If you're one of those dads who can't imagine a world without sports, you might be itching for your son or daughter to pick up the bat and slug those wiffle balls. However, you don't want to be too forceful about it. Instead, consider the benefits of sports and enlighten your child. If you have a wife who doesn't share your beliefs, it might take a little more effort to convince her. There are certain arguments for sports that might just do the trick. Staying out of trouble. Every parent has fears that their child might succumb to negative influences like drug or alcohol consumption in his later years. Statistically speaking, if your little one plays sports, it's less likely that they'll develop bad habits. Discipline. Another concern is your kid's motivation. 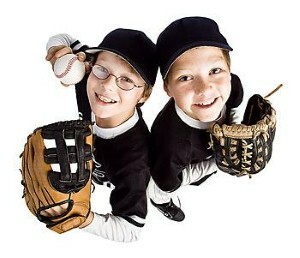 Sports can instill a sense of self-discipline that might allow him or her to excel in everything else, like homework! Fun. The last thing you want is for your child to think that the TV and iPods are the only ways to have fun. By introducing sports to him, you'll definitely broaden his horizons a little.